The MotoTec Mad 1600W is designed by one of the top 100 industrial designers in the world. It features a formidable 1600W motor and a look that is uniquely its own. 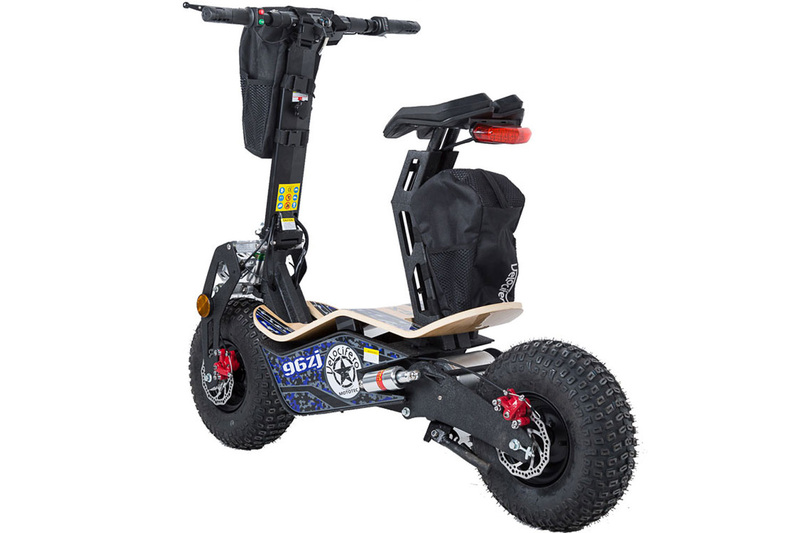 Customers love this model for its ability to tackle all types of terrain. 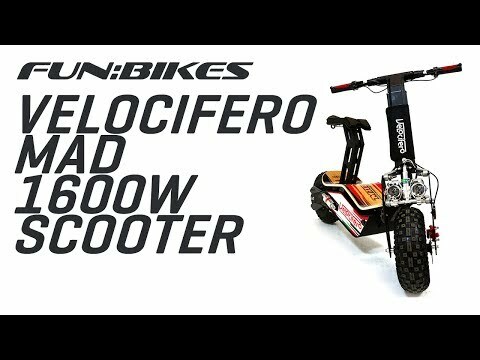 This electric scooter moped screams mad GENIUS! 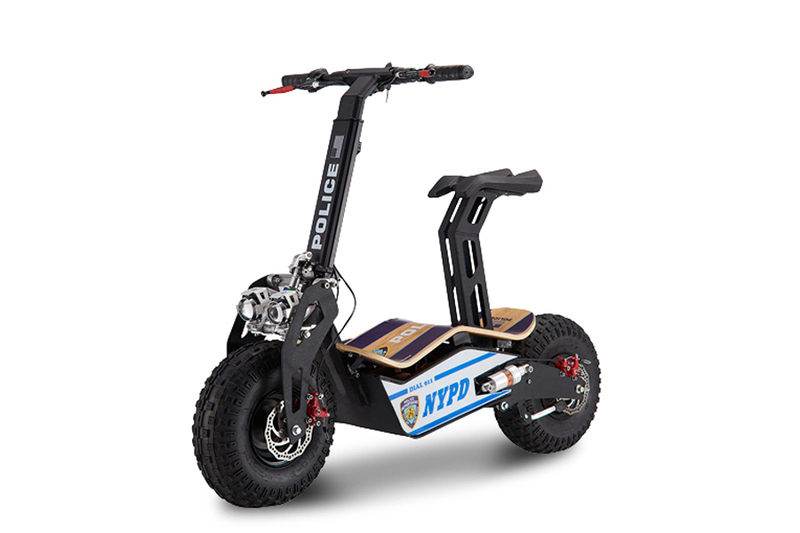 Modern scooters are well-designed, no doubt. But the MotoTec Mad 1600W takes everything a notch higher with its eye-popping structure and ingenious design. 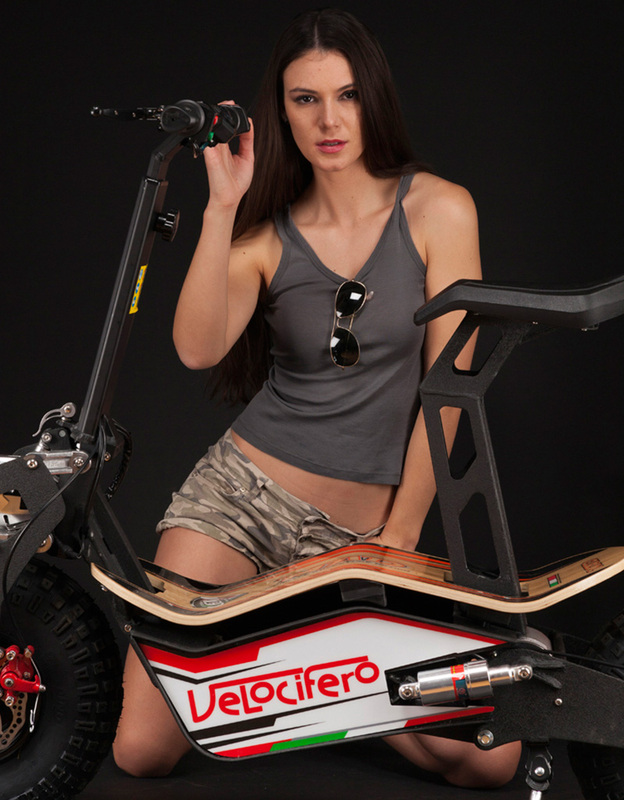 MAD, the new VELOCIFERO is a good example of how a bright idea turns into a successful product. 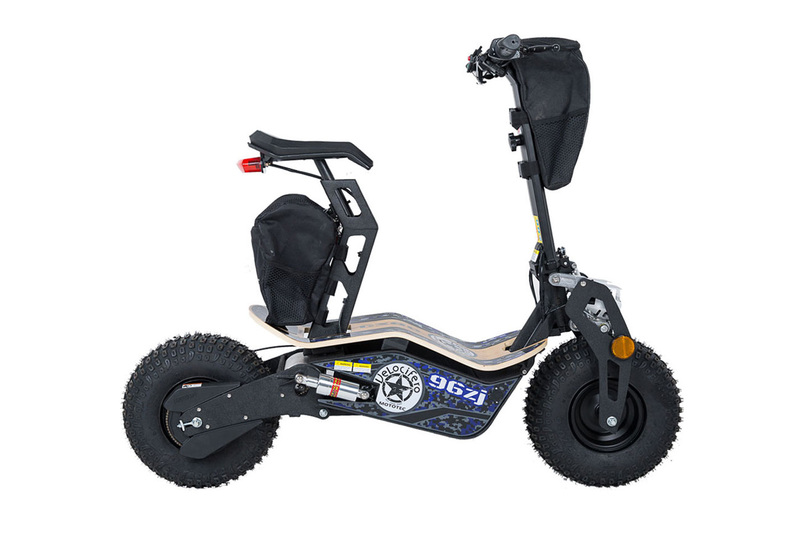 Designed by Alessandro Tartarini (one of the top 100 industrial designers in the world), you can expect great performance on this scooter-bike hybrid. 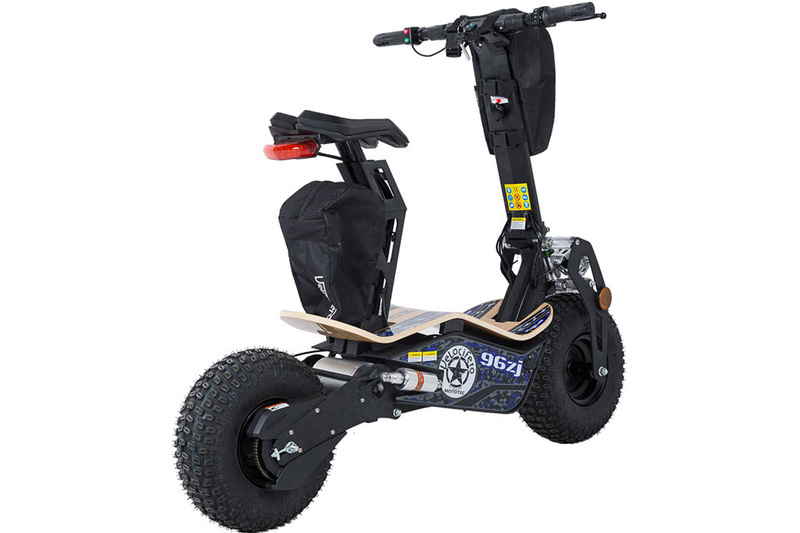 Customers report a speed range of around 22-30 mph, which is great considering that this model is classified as a scooter/moped. The bamboo footrest is a unique feature while the fat, stable tires give the entire structure a sporty look. 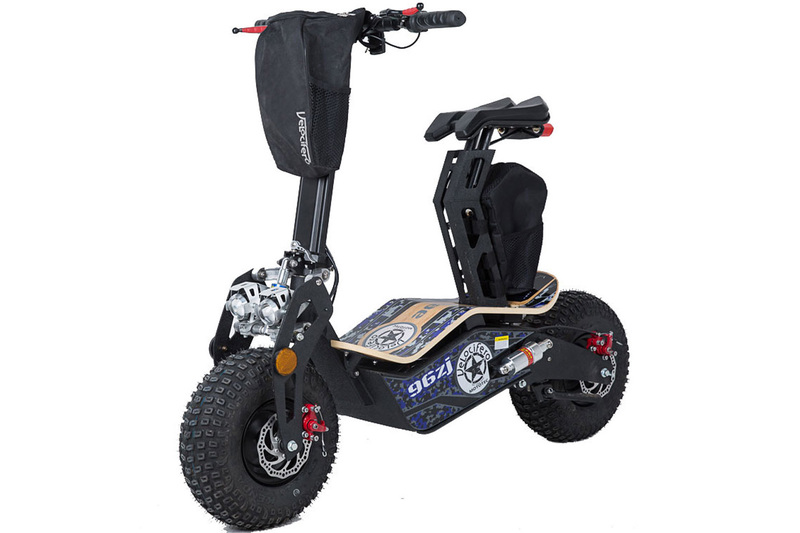 Overall, the MoToTex Mad looks gorgeous on the road and is capable of tackling all types of terrain.